Celebratory all-in-fares from PHP1599* one-way are available for booking online at airasia.comfrom now until 31 December 2017 with travel period from now until 30 June 2018. The promotional fares are also available on AirAsia’s mobile app on iPhone and Android devices, as well as mobile site at mobile.airasia.com. The new route signifies the fourth direct route from the Philippines to Malaysia after Manila, Cebu and Kalibo. 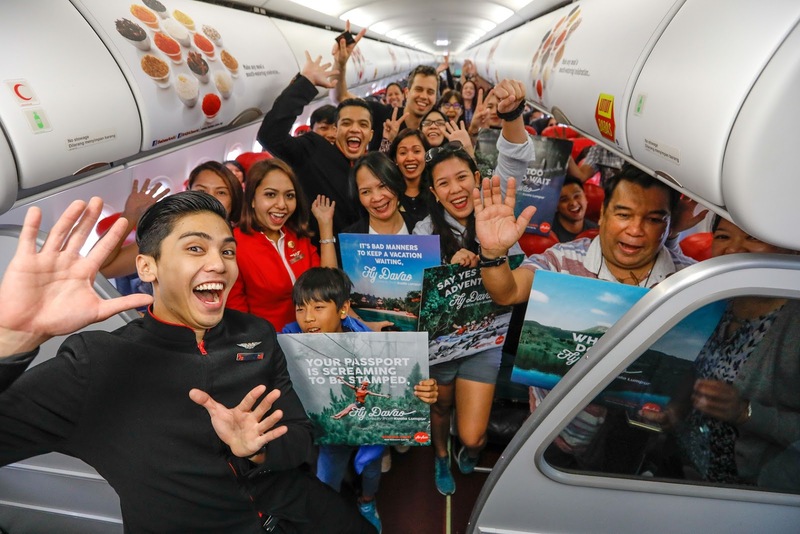 AirAsia also connects guests to other cities in the Philippines including Clark, Manila, Caticlan, Kalibo, Tacloban, Palawan, Cebu and Tagbilaran. For latest AirAsia news, activities and promotions, please follow AirAsia on Twitter (twitter.com/AirAsiaFilipino) and Facebook (facebook.com/AirAsiaPH). *Promotional all-in-fares quoted are for one-way travel only inclusive of taxes. Terms and conditions apply.